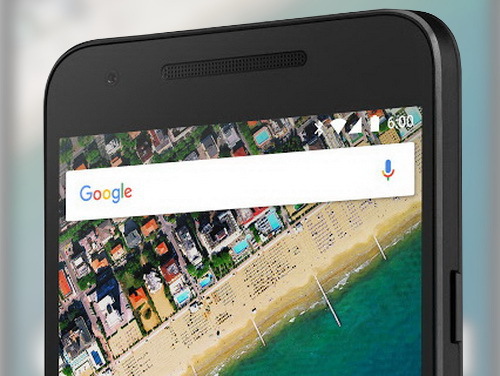 The Nexus 5X is available for pre-order through Google Store in anthracite, quartz, or ice blue colors. Google is also throwing in a free Chromecast for a limited time. 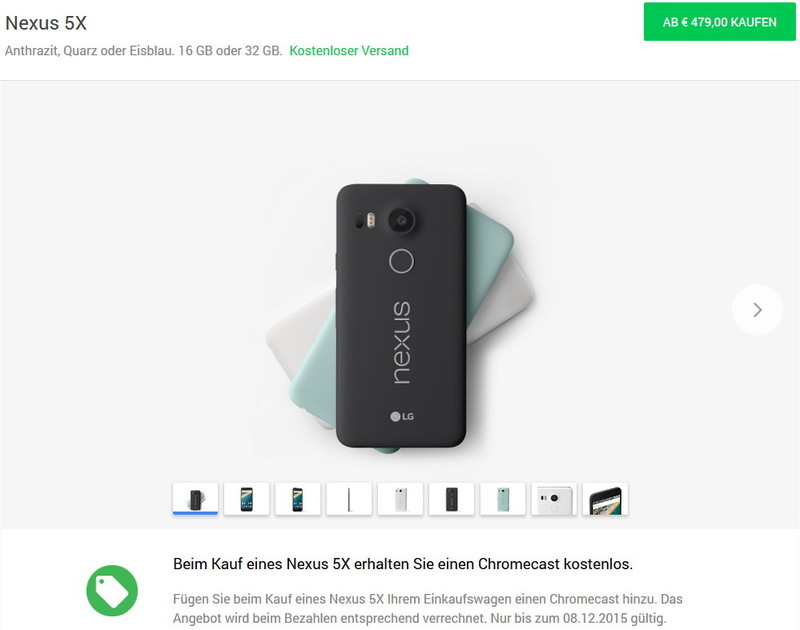 Effective immediately, the Google Nexus 5X is now available in Germany and other parts of Europe starting for 480 Euros. While U.S. customers enjoyed an earlier release date, European users who purchase by December 8th and will also receive a new Chromecast for streaming content through HDMI. The Nexus 5X comes with at least 16 GB of internal storage with the 32 GB version costing an additional 50 Euros for a total of 530 Euros. 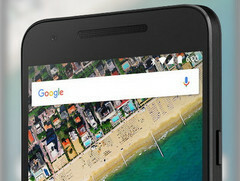 Note that the Nexus 6P is not yet available through the Google Store for most European users. As another incentive, buyers can use Google Music content for free for 90 days from the Play Store. The offer is valid only for new subscribers, however, and a Google account will be required. The Nexus 5X smartphone comes with a USB Type-C charger (15 Watt/5 Volt/3 A), SIM tool, Quick Start Guide, and warranty instructions. Expect our short preview on the smartphone with the full review to follow soon.